"Perhaps someone would like to use this situation against me, so I give them my warmest regards." 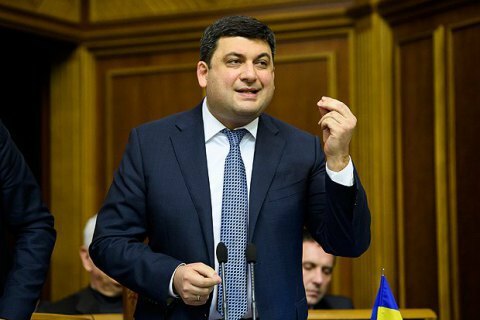 Prime Minister Volodymyr Groysman on Friday, 22 December, reported before the Verkhovna Rada on the arrest of the deputy head of his protocol service, Stanislav Yezhov, who is suspected of spying for Russia. "This employee, a staff member of the Ministry of Foreign Affairs, went through a rather serious career path. He worked in foreign ministry, in a diplomatic mission abroad, he worked in the presidential administration, the Verkhovna Rada and the government. We have known for months that he was suspected of working for foreign special services. The Security Service of Ukraine has long kept him under secret surveillance," the prime minister said. When counterintelligence gathered enough materials, Yezhov was detained, Groysman said. The premier stressed that Yezhov did not have access to state secrets, so there was no leakage of information. "Maybe someone would like to use this situation against me, so I give them my warmest regards and say one thing: no matter how much you try to discredit me, I will always identify that and publicly respond," said he. Yezhov was detained on December 20. It is established that he worked in the interests of the Main Intelligence Directorate of the General Staff of the Armed Forces of the Russian Federation and passed on the information about Groysman's trips abroad and foreign negotiations to the Russians.